Once attracted to the many freedoms that American society offers, Chinese students and scholars are now struggling to find reasons to stay due to the Trump administration's new policies. Julie Yao is an intern with the Asia Studies program at the Council on Foreign Relations and a student at Barnard College of Columbia University. Chinese international students actively contribute to the United States’ economy and society. 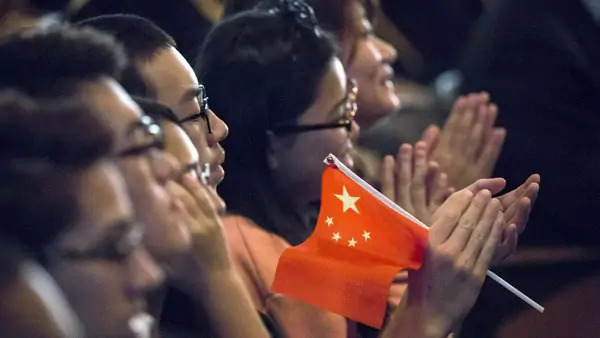 Yet U.S. President Donald J. Trump has proclaimed Chinese international students “spies,” and, in early December, the White House announced that it was considering expanding the vetting process of Chinese students applying for visas. Particularly in the wake of the June 2018 State Department decision to restrict visas for Chinese graduate students in sensitive research fields, many Chinese students now fear that their visas will be denied and they will be unable to continue their research. As a result, a higher proportion of these students and scholars are turning back to China. In 2017, eight out of 10 Chinese students returned home after studying abroad, compared to three out of 10 in 2007. Even visiting Chinese scholars in the United States are encountering a less friendly environment. In November 2018, the Johns Hopkins University School of Medicine cancelled its visiting scientist program “due to concerns voiced by the National Institute of Health about threats to biomedical research and loss of intellectual property.” The message was loud and clear; Chinese students and scholars are no longer welcome in the United States because they are viewed as direct threats to American prosperity. Chinese corporate giants recognize the changing political climate and are reaching out more aggressively to Chinese students abroad. Companies regularly recruit students studying overseas and Chinese Americans who have already settled in the United States, urging them to return home. For instance, Huawei, one of the world’s largest telecommunications and consumer electronics companies, has established specific recruitment processes for Chinese students studying abroad. Hoping to take advantage of the global experience and skills that Chinese international students bring, Huawei uses its prestige as a leading Chinese company to attract what it calls “worldly-minded applicants:” “We are the champion of our time and world. Wherever you are, we look forward to meeting you!” (我们是时代格局的佼佼者。无论你身处何处，我们期待与你相逢!) Not long ago, I was surprised to find a recruitment message in my LinkedIn inbox from Huawei inviting me to become a “diplomat” in their government relations department. It is sensible for the United States to take action to protect against the Chinese government or private companies’ efforts to use Chinese nationals to carry out intellectual property theft. Both official trade talks between Xi and Trump or sanctions against companies accused of stealing American technology are important measures to defend U.S. national interests. However, ostracizing U.S.-educated Chinese scholars will only reinforce the idea that returning to China is their best, and only, option. Today’s events evoke the memory of Qian Xuesen, the “father of Chinese rocketry.” A prominent scientist at MIT and Caltech and co-founder of the Jet Propulsion Laboratory who served on the U.S. government’s Science Advisory Board during World War II, Qian was accused—but never proved—of spying for Communist China during the Second Red Scare and put under house arrest for five years from 1950 to 1955. His colleagues at Caltech stood firmly behind him, but Qian lost his security clearance and his application for U.S. citizenship was denied. After returning to China as part of a prisoners exchange in 1955, he helped develop China’s “Two Bombs, One Satellite” program, making China the fifth nuclear state. Despite the fact that his children—all U.S. citizens by birth—returned to the United States for education, Qian’s personal bitterness toward the United States never quite abated. When Caltech presented him with its Distinguished Alumni Award in 1979, he refused to accept the recognition in person. While Qian’s story represents an extreme example, it illustrates an instance when the United States lost an important ally due to fear and bigotry. Once attracted to the many freedoms that American society offers, Chinese students and scholars are now struggling to find reasons to stay. It is reasonable for the Trump administration to take preemptive and retaliatory actions to protect American interests. However, a blanket rejection of Chinese students and scholars is not only a betrayal of those who have invested their trust in the American Dream but also a short-sighted decision in an age of scarcity in human capital and innovation.